Brussels/Hasselt, Tuesday 27 March 2018 – Following a commitment agreement signed by the shareholders of Bancontact Company and Payconiq Belgium on 26 March 2018, the two firms intend to merge into a single entity to be called Bancontact Payconiq Company. The completion of the merger is scheduled for the second quarter of 2018. 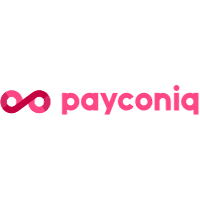 This new Belgian company will offer innovative products for both domestic and European payments, including a unified payment app: ‘Payconiq by Bancontact’. In the meantime the two existing payment apps – the Bancontact app and Payconiq app – will remain available. The trusted Bancontact card will continue to exist, under the same name, for use both with online purchases and in bricks-and-mortar shops. The merger promises the best of both worlds for both consumers and merchants. Payconiq enables mobile payments by smartphone. You link your bank account to the app and you can then pay for purchases in physical stores or on e-commerce sites by scanning QR codes, confirming your payment with either your fingerprint or a PIN code. With mobile payments, Payconiq retailers and traders receive the money in their accounts immediately without the need for any extra hardware such as a payment terminal. Bancontact Company, which offers both the Bancontact card and the mobile Bancontact app and enjoys widespread trust among web-stores, retailers, merchants and banks, will ensure broad reach among consumers. The merger will thus bring the complementary expertise and innovation capabilities of Bancontact Company and Payconiq Belgium under one roof so as to take full advantage of the fast-growing demand for safe, high-performance and user-friendly payment solutions.